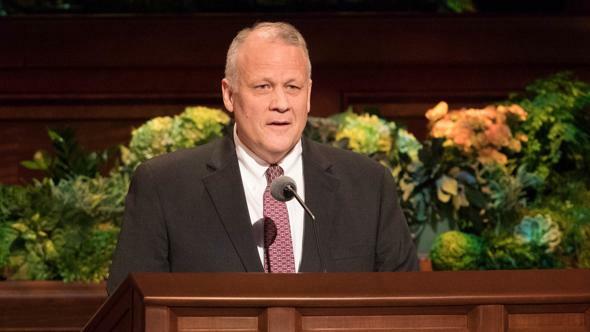 From around the world this season of the year come thousands of people who gather at what has become known as the “Crossroads of the West” for a conference of the members of The Church of Jesus Christ of Latter-day Saints. Many years have passed since settlers came in covered wagons into this valley in the tops of the Rockies. 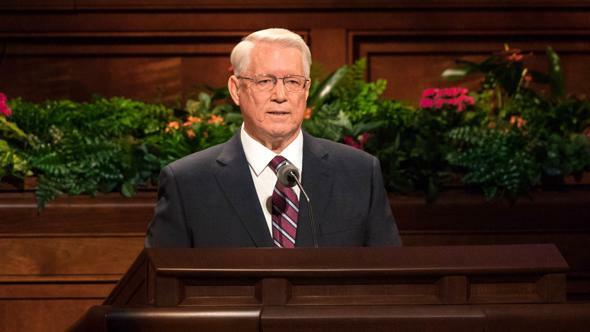 Conference was an important occasion in their day, and it continues to be a significant occasion in ours as people of faith and devotion come together to renew and strengthen that faith. Conference time is a season of spiritual revival when knowledge and testimony are increased and solidified that God lives and blesses those who are faithful. It is a time when an understanding that Jesus is the Christ, the Son of the living God, is burned into the hearts of those who have the determination to serve him and keep his commandments. Conference is the time when our leaders give us inspired direction in the conduct of our lives—a time when souls are stirred and resolutions are made to be better husbands and wives, fathers and mothers, more obedient sons and daughters, better friends and neighbors. We are reminded as we participate in conference of the deep commitment we have to our fellowmen, our brothers and sisters throughout the world. It is a commitment to share with them a gift that has come to us and the greatest gift we could give to them—an understanding of the fulness of the gospel. We are committed to declare to all the world that Jesus of Nazareth is the Savior of mankind, that he has paid for our sins by his atoning sacrifice, that he has risen from the dead, and that he lives today. Our responsibility is to help the people of the world understand the true nature of our Father in Heaven: that he is a personal God, a loving father, and one to whom each of us may go with our problems and concerns. 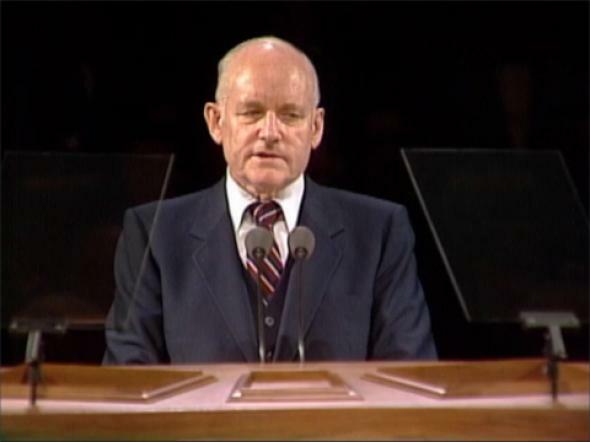 We who are met here today claim a special, unique knowledge of the Savior’s gospel. 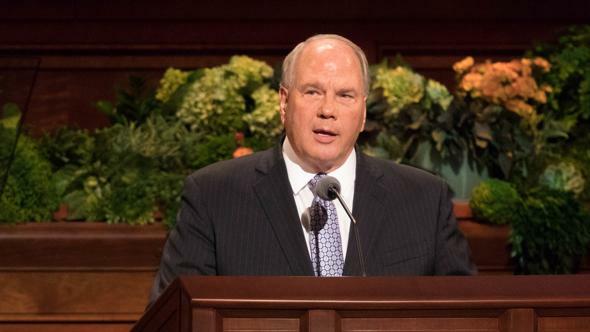 Most striking of all, to those who first become acquainted with us, is our declaration to the world that we are guided by a living prophet of God—one who communicates with, is inspired by, and receives revelation from the Lord. How do we know such things are true? We know because God has spoken in our time—in our day. The heavens have opened; God has communicated his word to man; eternal truths have been given to the world from the Father of us all. God the Father and Jesus Christ, his Son, have appeared to and have talked with men in this dispensation. In fact, the Lord has appeared on numerous occasions. 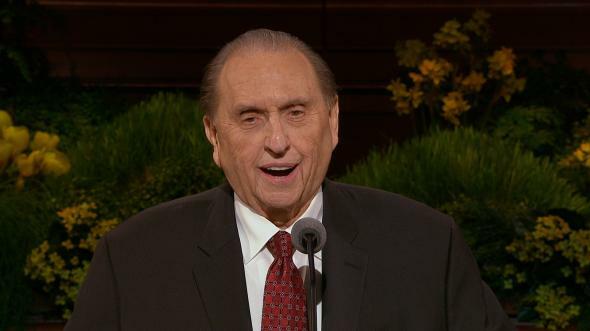 We know that our Father in Heaven loves us and is concerned about our spiritual and temporal welfare. 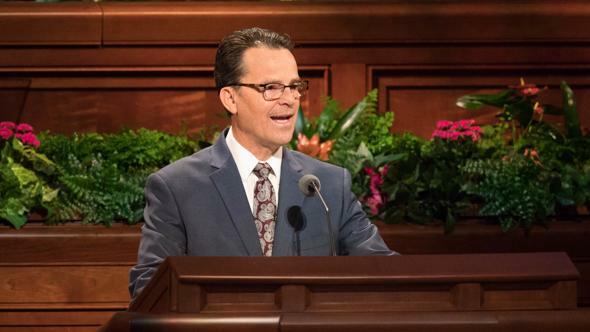 We know that his Son, Jesus Christ, our Elder Brother, has provided a way for us to return to the presence of God; that there is a divine purpose for our being here on earth; that we have a work to do which is an important part of his plan. In addition, we know many details of that plan and have received specific direction about our responsibilities. “But God hath revealed them unto us by his Spirit; for the Spirit searcheth all things, yea, the deep things of God. “For what man knoweth the things of a man, save the spirit of man which is in him? even so the things of God knoweth no man, except he has the Spirit of God. “If ye will awake and arouse your faculties, even to an experiment upon my words, and exercise a particle of faith, yea, even if ye can no more than desire to believe, let this desire work in you, even until ye believe in a manner that ye can give place for a portion of my words. 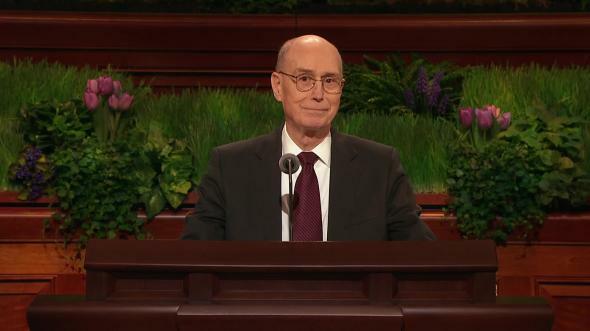 Of these things I testify, in the name of Jesus Christ, amen.